Psychologists have concluded that the need to feel loved is a primary human emotional need. Child psychologists affirm that every child has certain basic emotional needs that must be met if he is to be emotionally stable. Among those emotional needs, none is more basic than the need for love and affection, the need to sense that he or she belongs and is wanted. With an adequate supply of affection, the child will likely develop into a responsible adult. Without that love, he or she will be emotionally and socially challenged. When your spouse’s emotional love tank is full and he feels secure in your love, the whole world looks bright and your spouse will move out to reach his highest potential in life. But when the love tank is empty and he feels used but not loved, the whole world looks dark and he will likely never reach his potential for good in the world. If that excerpt doesn’t encourage you to read this book, it might not be for you. 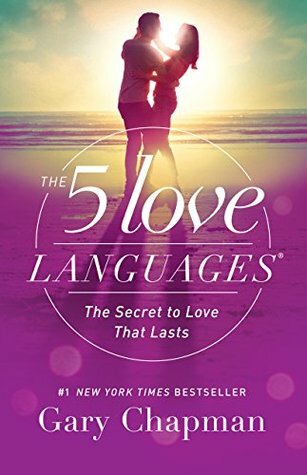 The 5 Love Languages by Gary Chapman has been recommended to me countless of times but I refused because I thought it would be boring. It is insightful and well written. It not only helps you define your love language, it helps you understand your partner’s and how to manage their love language. If you are in a relationship, plan to be in a relationship…or want to form better relationships with friends, collegues and/or relatives…this book is a wonderful tool to use. There is a test in the end where you can find out your language and I must say, I was somewhat surprised about my main language. I guess subsconsiously I knew what it was, but I assumed a different one. Now I know. Now I can express myself. I feel they are pretty self-explanatory on their own, but this book deepends the definitions and circumstances. People tend to criticize their spouse most loudly in the area where they themselves have the deepest emotional need. Their criticism is an ineffective way of pleading for love. If we understand that, it may help us process their criticism in a more productive manner. I am significant. Life has meaning. There is a higher purpose. I want to believe it, but I may not feel significant until someone expressed love to me. See….it’s not about low self-esteem…it’s about a low love tank. This is probably one of the few self-help books that don’t say “everything you need is inside you” or “you just need to love yourself.” Chapman understands that we are a creature of community. Now this is powerful because, if you were like me, you tend to confuse the two. This book contains examples on what both look like. Overall, this book will help you grow, if you stick to it, and you apply it to your life. However, it will require patience getting through because, like most self-help books, it gets repetitive!